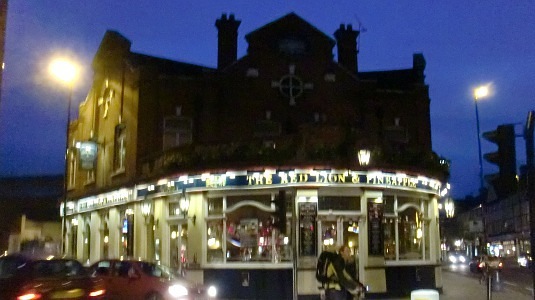 I attended the Wetherspoon Spring Real Ale Festival at The Red Lion and Pineapple in Acton, West London, last Friday. 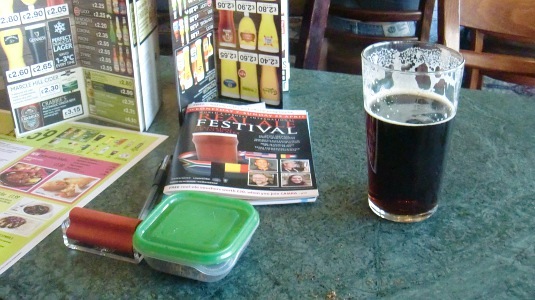 The Festival, which is running at selected Wetherspoon pubs, is featuring up to 50 ales and continues until 25 April 2010. Some of the ales were new and brewed exclusively for the festival, [FB] below, whilst a few were by international brewers but specially brewed in the UK [IB], to complement the imported beers [I]. A few others were resurrection ales brewed for the festival [RA] – in other words beers that have not been produced for some time. 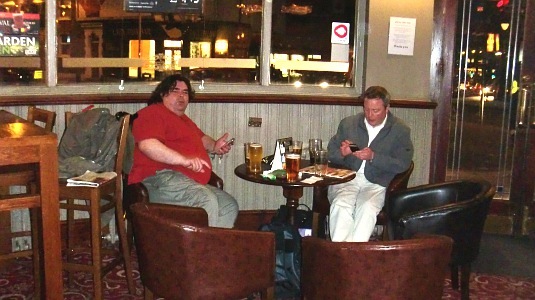 Pictured are fellow drinkers Nick Carroll and Chris Collier.